PURES-tubes PURchasing and saLES - competence-in-stainlesss Webseite! 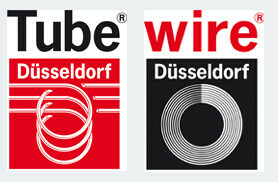 The company situated in Nuremberg distributes since July 2009 tubes and components international. Pures-tubes stands for steel/stainless steeltubes and their diverse applications in the automotive, mechanical engineering, hydraulics, energy and plant construction. The company is also well positioned in the field of (pipe) components, e.g. fittings, flanges, elbows and turned parts. Pures-tubes is a member of ITA, the International Tube Association.